Let’s face it, none of us mind convenience or anything that’s easy to use. That’s why so many men prefer disposable (or cartridge) razors. They’re convenient – pop in a new blade or throw the entire razor out and replace it with another – and also require little shaving technique. They also provide a close, clean shave, which is the important thing for our purpose as we introduce you to the best disposable razors of 2019. We’ll start with the Gillette Mach3 Men’s Disposable Razor and continue with five others that we think are worth your consideration. We’ll also discuss buying tips, how to use a disposable razor, and how a disposable compares to other types of razors. How do you sharpen a disposable razor blade? Before you rush out and buy a disposable razor, here are some things to keep in mind before making your purchase. Disposable razors are either completely disposable in that you toss the entire thing (handle and all) out when the blade goes dull, or the kind where you just replace the razor cartridges with newer, sharper ones and keep the handle. You pay more for cartridge razors – and the blades don’t come cheap – but they’re of a higher quality than a razor that’s completely disposable. Disposable razors either come with a single blade or multiple blades. Single blades are the less expensive option, but the blade’s steel might not be as good as the steel on multi-blades. Multi-blade disposables make for a quicker, easier shave because more blades are gliding over your face. It’s also widely assumed that multiple blades make for a cleaner shave, but that’s not true in every case (see #2). While it makes perfectly good sense that multiple blades dragging across your face can provide a closer shave than a single or double blade, your disposable razor is only as good as the quality of the blades. In other words, if your razor’s five blades are cheap or dull, you’re not going to get the cleanest shave possible. Here’s something else to consider: it’s harder to clean a razor that has multiple blades because your newly-shaven whiskers have a tendency to clog up between blades. Clogged blades can result in a duller shave. It’s not that we’re anti-multiple blade razors – because there are plenty of good ones on the market – but they are more expensive, too. Many disposable razors come with lubricating strips that are located above the blades and provide extra moisture to your skin. Extra moisture helps reduce skin irritation, although the chemicals found in lubricating strips can irritate sensitive skin. But that’s not a hard-and-fast rule. While a lot of good products come from smaller companies, there’s something to be said for a brand name you recognize – like Schick, Gillette, and BIC. While you might save a few bucks by buying an off-brand, you could easily end up with a shave that mirrors the cheap price tag. Yes, shop around, but there’s a reason big-name brands have been in business for many, many years. Well, Gillette has been around a long time and is synonymous with “razor.” With over 100 years of experience, it figures that they know a thing or two about shaving and they have plenty of fine products to back their reputation. And when it comes to their Mach3 Men’s Disposable Razor, they truly have the best a man can get. What’s not to like about a razor that makes the task of getting a close, clean shave easier than other disposables? It all starts with the Mach3’s progressively aligned blades, which are positioned in a way that for each stroke you take, it takes three. The razor also comes with a pivoting head that makes it easier to navigate the many contours of your race and avoid nicks, cuts, and irritation, and with protective microfins which provide further protection by smoothing down skin before the blade passes over it. The Mach3 blades feature patented DLC (Diamond Like Cutting) coating that makes for a stronger, sharper blade. Another feature in the Mach3 line of razors is a lubrastrip that provides another layer of protection in combating dry skin. The lubrastrip includes natural oils and fades to white when it’s time to replace the blade. Another thing we like a lot is that the blades’ construction makes it easier to rinse out the facial hair, shave cream or gel, and other gunk that accumulates during a typical shave. Finally, the Mach3 comes with an ergonomically-designed handle that provides a comfortable grip. You don’t have to worry about the razor slipping in your hand while you shave. Yes, the Mach3 is pricier than many other disposable razors, but it’s worth the investment. The folks at Gillette have gone the extra mile to guarantee that your shave will be clean, close, and nick-free every time you step in front of your bathroom mirror. Every disposable razor can lay claim to providing a close, irritation-free shave, but Schick doesn’t just talk the talk with its Hydro 5 Razor For Men. Instead of a lubrastrip, the Hydro 5 has a Hydrating Gel Reservoir that provides instant lubrication and protection and reportedly delivers 40% less friction than a lube strip. It’s also designed to lubricate a much larger area of your face. And, finally, the gel reservoir provides enough lubricant to hydrate your skin for up to an hour after you shave. Schick also goes the extra mile in other ways to ensure a friction-free shave. The Hydro 5 has skin guards at the top of its Ultra Glide blades to control skin flow and reduce friction during your shave. It also has a guard bar (that’s larger and redesigned than on previous Hydro 5 models) to help stretch the skin for a smoother shave. As its name suggests, the Hydro 5 Cartridge has five blades. While multiple blades don’t guarantee a closer shave, the Hydro 5 delivers what Schick says is its best shave ever. 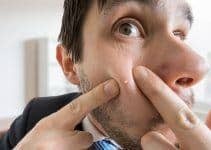 There’s also less space between blades which minimizes skin bulge – which can make for a bumpy, skin-irritating ride across your face. Another unique feature of the Hydro 5 is its Flip Trimmer, which is designed specifically to reach those hard-to-trim places (like under your nose). You activate it by simply flipping back the Hydrating Gel Reservoir with your thumb. The Hydro 5 also has an ergonomic handle that fits neatly into your hand to provide further shaving control. Your Schick Hydro 5 razor comes with two replacement blades and refills are available at most stores that sell shaving supplies. Note: The Hydro 5 works well when paired with Schick Hydro Sensitive Shave Gel and Schick Hydro Moisturizing Shave Gel. You won’t go wrong with the Schick Hydro 5 for a lot of reasons, including unique features such as it Hydrating Gel Reservoir. You’ll get a smooth shave without skin irritation while its blades are as good as any Schick offers. Using the Gillette Fusion ProGlide Men’s Razor isn’t just another morning shave; it’s kind of like being in the cockpit of a jet. If you like bells and whistles and gadgets, the ProGlide is right up your alley. To be clear, however, all the “stuff” is designed to give you the closest shave possible and not just a whole lot of gimmickry. The Fusion ProGlide’s FlexBall Technology is as good of a place to begin as any. Its purpose is to allow the blades to follow the contours of your face – which, admittedly, is the purpose of most razors – and they’ve taken it a step further with a shaving head that truly swivels as it glides over your face. It also reduces how many times you have to twist your face in an awkward position to shave those hard-to-reach areas. In turn, the blades remain close to your skin throughout the shave, rendering irritation all but non-existent. The Comfort Guard is another one of the ProGlide’s unique features. It consists of a soft, flexible material that’s fitted around the microfins and further provides better contact between the blade and your skin. The folks at Gillette say they’ve upgraded their Precision Trimmer with the addition of enhanced rinse slots that prevent clogging. Meanwhile, the ProGlide’s Microcomb helps guide stubble into the blades. Note: The ProGlide comes in two versions, manual and power. The “Power” version includes battery-powered micro-pulse to help reduce friction. It also includes a microchip that gives you the same performance with every use, even if battery power is waning. 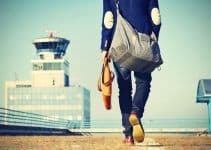 Also, the microchip will turn off the battery after eight minutes of use, which might seem strange but is a handy feature to have if your razor is accidentally turned on in your travel kit. OK, we’ve touched on some of the ProGlide’s “gadgets,” but what about the blades? Thanks to thinner, finer blades than with previous ProGlide incarnations, the Fusion gets a thumbs-up in this category, as well. Reviewers also say that the blades last longer than other disposables – up to a month even – which is a good thing since these cartridges don’t come cheap. Then again, getting what you pay for is sometimes a good thing. 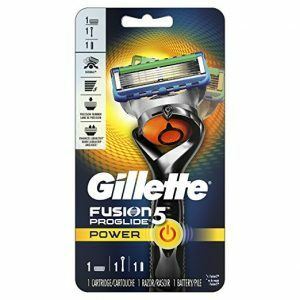 Gillette is always at the forefront of cutting-edge (pun intended) technology, and the Fusion ProGlide is a prime example. With its many unique features and high-quality blades, this is a disposable razor that’s truly a keeper. There’s nothing simple about shaving your legs. Just ask any woman. For one, there are a lot of curves to deal with, plus more skin to shave than on one’s face. Indeed, it can be a chore so making the task as stress-free and uncomplicated as possible is of vital importance. The Schick Hydro Silk does it better than all the rest and is the best disposable razor for women. There’s are many things that set the Hydro Silk apart from other disposable razors designed for women. It even offers convenience and practicality with a refill hook that allows you to hang your blades so that you don’t have to step out of the shower to change them. 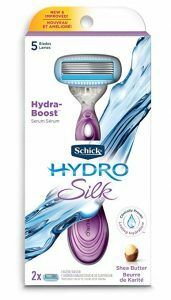 The Schick Hydro Silk is all about moisturizing. It includes a lubrastrip with a water-activated moisturizing serum that’s clinically proven to replenish the skin for up to two hours after shaving. After all, avoiding dry, irritated skin is a must. There are five curve-sensing blades with skin guards that make for a smooth, irritation-free shave every time. The blades are spring-loaded and designed to follow the curves and contours of your leg. Not only can you hang the refills on a hook, but they also come in waterproof packaging to protect the blades until you need them. Finally, with hundreds of positive reviews, it’s clear that Schick Hydro Silk users are an overall happy bunch. Not many, although some users have complained about the handle breaking. It seems like we keep coming back to Schick (and Gillette) but who are we to argue if they have excellent products? The Hydro Silk helps take the difficulty and tediousness out of shaving your legs while keeping them silky smooth. Some things in life are low-priced for a reason. Specifically, they’re cheap. Fact: If you have sensitive skin, then the BIC Twin Select is a good tool to have in your grooming kit. It has a slimmer shaving head than other disposables and a tapered handle that provides additional control. The narrower head also makes it easier to shave in tight areas and is angled to help prevent nicks and cuts. That also makes it great for anyone who’s new to shaving and still mastering the art. 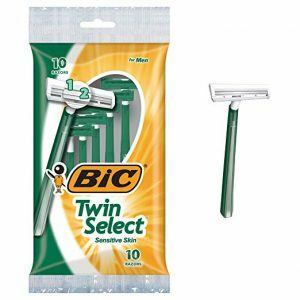 The BIC Twin Select comes with two blades to further help you get a close shave. It’s also super-light compared to most other disposable razors. The blades are also long-lasting, which helps your overall cost, as well. They’re also completely disposable in the sense that you just throw the entire razor out – handle, blades, all of it – when it no longer provides a close shave. If you don’t want to break your budget but aren’t willing to compromise on the quality of your shave, we recommend the BIC Twin Select. You’ll love the price and the closeness of your shave. Some men encounter different shaving challenges than others. African-American men, for instance, often deal with bumps and irritation due to ingrown hairs. But they’re not alone. Thanks to Bump Fighter, however, they also have a solution. Bump Fighter’s disposable razors make it easy for men with unique shaving challenges – or for any man looking for a close shave, for that matter – with their Bump Guard technology that helps prevent skin irritation and razor bumps. It’s also the best single blade disposable razor on the market. 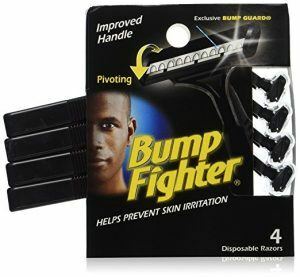 While Bump Fighter is a relative newcomer to the razor market, it continues to grow in popularity thanks to their emphasis on helping men with unique shaving challenges. The Bump Guard is truly unique and helps keep the blade from directly impacting the face as with other razors. 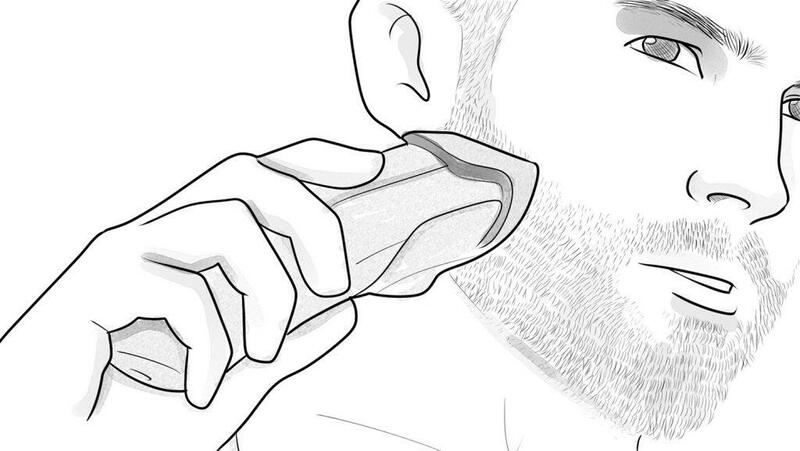 Moreover, a pivoting razor head helps you shave over your face’s contours. Also, the handle is easy and fits comfortably in your hand for further control. The Bump Fighter Disposable comes with built-in conditioner (built into the head itself since there’s no lubricating strip) to provide a smoother shave while revitalizing the skin afterward. You might not get as close of a shave on the first pass over your skin as you would with other razors, but the avoidance of skin irritation is more than enough to make the Bump Fighter a popular pick among men. The Bump Fighter Disposable has a unique design that’s designed to help men with unique shaving challenges. But it’s also a great razor for men of any skin type, and you’d be hard-pressed to find a better single blade disposable. Shaving always seems so simple, at least to the untrained eye. You know, just slap on some shaving cream and run the razor’s blade over your face until all the stubble is gone. Getting a clean shave without nicks, cuts, and skin irritation involves more than just choosing the best razor for you (although that’s certainly a big factor). But, like with any razor, shaving with a disposable requires equal parts preparation, patience, and technique. 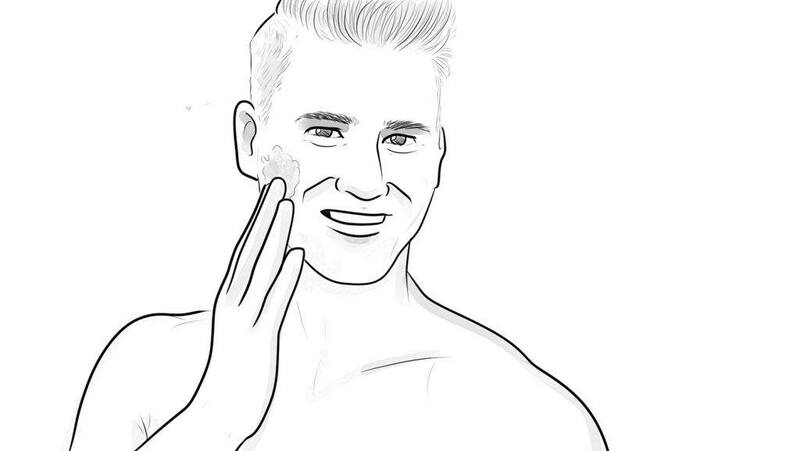 Not preparing your face before you shave with a disposable razor is a key tactical error. In fact, preparation is probably even more important for shaving with a disposable because the blades may not be as good as those on a safety or straight razor. So, proper prepping includes either a hot shower or wrapping a warm towel around your face before shaving. The combination of heat and moisture softens facial hair and makes it stand straighter, as well as opening the pores of your skin – which leads to a better shave. It’s also a good idea to wash your face with an exfoliating soap before you shave because the soap will remove layers of dead skin, oil, and dirt. Your next step is to apply shave cream, gel or soap to your face – or at least we hope you do – but be careful in choosing your product. Canned aerosol and gels often contain alcohol and other chemicals that dry out your skin and cause irritation. It’s better to use glycerin-based creams or gels that won’t cause dryness and itching. The most common way to apply shave cream is with your fingers, of course, but using a shave brush represents the next level of application A brush will fully coat your facial hairs and helps to lift the hairs off of your face which, in turn, helps prevent razor burn. If you’re one of those dudes who lets your facial hair grow for several days without shaving, you may want to use a beard trimmer to get your scruff down to a manageable level before you shave. Experts say that you should never shave off more than two days worth of growth without trimming it first. If there’s one common theme with shaving – no matter what type of razor you use – it’s that shaving with the grain is your best bet. That’s not to say you can’t shave against the grain, but it’s better if you first shave your entire face with the grain. It’s important to rinse your razor often during the shave. Disposable/cartridge razors clog up with hair and shaving cream more often than other types of razors. Rinsing your blade after each stroke, or a couple of strokes, is an easy way to prevent razor burn. 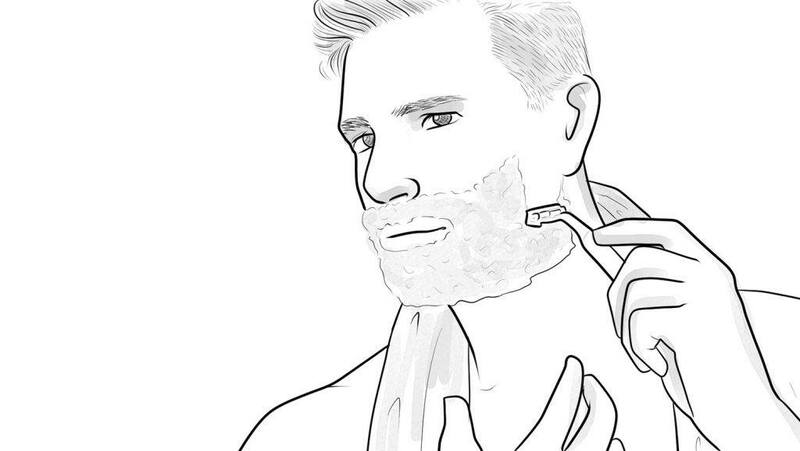 You may have to shave some spots more than once to get the closest shave possible. Don’t hesitate to reapply shave cream to those spots to keep your skin lubricated. Yes, it adds a few seconds on to your shave, but well worth the effort and lack of irritation. Once you’ve finished your shave, rinse your face with cold water to help close your pores and ease any skin irritation. The answer: No one really knows. Even a quick search Internet search will give you a variety of answers when it comes to the lifespan of a disposable razor. Some say four days. Others say five months(!) – and even longer(!). 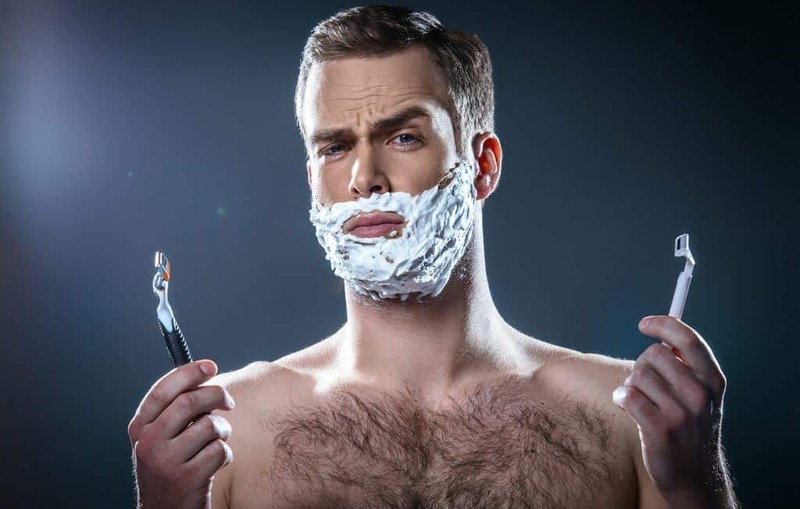 Gillette did a study a few years back which revealed that the average male takes 150 strokes per shave. It also revealed that 10% of men replace their blades according to the calendar while everyone else does it by feel. Meanwhile, the Dollar Shave Club advises that you changes blades once a week. What we do know, however, is that there seems to be a consensus about prolonging the life of a disposable razor. And it all comes down to water. The fact is, razor blades will grow dull faster due to oxidation and microscopic rusting than due to shaving. Water that remains on your blades between shaves causes oxidation – which leads to corrosion in which the blade’s metal starts to flake off. The blades then begin to tear and pull at your hairs, which leads to all kinds of irritation before you finally decide that it’s time for a replacement. However, you can avoid oxidation, pulling and tearing with some simple maintenance, such as drying your razor after each use and applying oils to the blades that prevent mineral deposits from forming. But drying your razor after each shave is the best way to keep it from becoming a dull boy. Some advise that you dry your blades with a blow dryer after each use. Or, you can drag the razor over an old pair of blue jeans (seriously) because the jean’s fibers dry and sharpen the blades. Again, the blue jean razor-sharpening method is no joke, my friends, and it works. Some even claim that you can add months to the life of your blade by using it after every shave, and some even use it before their shave. While some will argue that blue jeans don’t exactly sharpen the blade but instead removes imperfections that cause it to grow dull, they do prolong the blade’s life. Not that the blue jean method is the only way to sharpen a blade. For one, you can use a leather strap that’s designed to sharpen the blades on a straight razor, but works with other blades, as well. But here’s the difference: use the suede side of the strop to sharpen disposable blades, and the leather side to polish them. Yes, we’re talking about your forearm and using it to sharpen your blade. The theory is that the skin on your forearm resembles leather – a proven sharpening material – so why not use it to prolong the life of your blade? Here’s how it works: run the razor along the length of your forearm (from elbow to wrist) while making sure that the blade’s sharp edge faces the opposite way than the direction you’re moving the blade. Finally, there are products available, such as Razorpit , that are designed specifically to sharpen disposable blades while dramatically increasing their lifespan. Most of them are simple to use and may save you a lot of $$$ you’d spend on blades. Disposable (cartridge) razors certainly don’t lack popularity, and it’s not difficult to understand why. For one, you can’t beat the convenience. If you buy a true “disposable” disposable, you simply toss the entire razor in the trash when the blade goes dull. Cartridge disposables offer the same convenience: when the blade loses it effectiveness, pop it off and put on a new blade. Probably the biggest advantage of a disposable razor, however, is availability. Practically every supermarket, drugstore, gas station mini-mart – whatever – carries disposables. Forgot to bring your razor on the road? No worries! A disposable is just around the corner! Disposable razors also have the advantage of being easy to use. They come out of the package ready and raring to shave your face, and the learning curve – unlike with, say, a straight razor – is very mild indeed. Even an electric razor has different settings and buttons that you need to learn how to use. When it comes to the cleanest shave possible, disposable razors aren’t exactly wimpy. But are they as close as a straight razor – the old-time tool that’s also known as a “cutthroat razor?” Probably not. Or, are they as close as a safety razor, which has replaceable blades that are typically of higher quality? It’s also worth taking a hard look at cost when comparing disposables to all the rest. A high-quality straight razor could cost in the hundreds of dollars but is likely to last you a lifetime. Safety razors are a less-expensive initial investment than straight razors, but their replacement blades can be pricey. Electric razors aren’t cheap, but a good one should give you several years of use, and they rank right up there with disposables when it comes to convenience. Meanwhile, the initial investment for disposable razors isn’t very much at all, but the cost of replacement cartridges can drain your wallet if you’re not careful. As mentioned previously, however, there are ways to keep your cartridge blades sharp so that you don’t have to replace them every fourth or fifth shave. Our “secret” formula for choosing the best in any men’s grooming category is simple: we research, we rely on personal experience, and we consider the reviews and thoughts of others. While we can’t possibly try every disposable razor on the market, we think we’ve given you an excellent choice of products that will serve you well. That’s all for now, friends. As always, we welcome your comments and feedback. Have you used any of the razors we’ve listed above? If so, how did you like them? Or, do you prefer another brand of disposable razor? Let us know. We’d love to hear from you. Goodbye Gillette. 35 years I was with you and you go pull a stunt like this…calling white men sexual predators and bullies. Not getting another cent out of me! You feminists that made the commercial can go **** yourselves! Good day everyone, I’ve been using the Bump Fighter and just recently started using a DE Double Edge Safety razor. For me I use the Bump Fighter and Dr. Carver Shave Butter and that ends any razor burn or ingrown hairs. But you will have to shave everyday or other day. Dr. Carvers shave butter lets you see what and were you are shaving. The term “best disposable razor” is like the term “prettiest girl in lower Slobovia”. A place where manliness and beards thrive in harmony. Balding Beards is THE resource for facial hair, hair loss, grooming, style, and relevant product reviews. We post new content on a consistent basis, which is generally long, comprehensive, thorough, and regularly updated. We encourage you to comment and express your opinion. It’s always a delight to hear your thoughts, as well as answer any questions you might have. 5 Proven Ways How to Grow a Thicker Beard (Faster & Better) Now! Balding Beards Copyright © 2019.